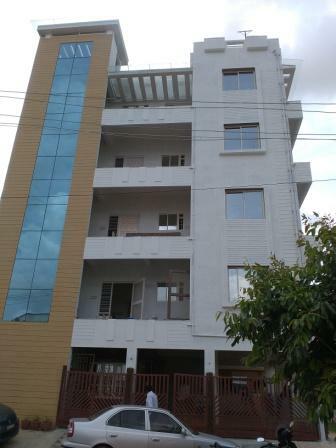 A nice cozy 2 bedroom apartment in Banjara Layout at Hormavu is available for rent. The house is semi-furnished with a modular kitchen, and wardrobes. There are 8 such units available. Each unit is about 600 sft. Each unit has 2 bedroom, 1 bathroom, 1 Balcony and a terrace area. There is one servant quarter on the top floor with bath attached.